The streets of Buena Park, CA can sometimes be very unsafe for pedestrians. This is because most drivers and pedestrians fail to adhere to the safety rules of the road usage. 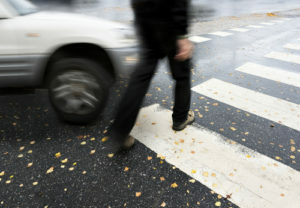 When these accidents happen, pedestrians are always at the mercy of the car drivers. The injuries are sometimes severe and life-changing. Pedestrian accident attorneys at Rawa Law Group are dedicated to helping victims of such accidents or their loved ones in obtaining maximum settlement as a recompense for their woes and sufferings. Rawa Law Group is a renowned law agency in California. It is known for having some of the best go-to pedestrian accident lawyers in the state. With an experience of almost 6 decades, Rawa Law Group has delivered stellar legal help to residents of Buena Park and all other cities of California. You can call us for a no-cost consultation today and receive personal one-on-one attention from one of our qualified accident lawyers. Our services are tailored to suit your unique needs. You can book a flexible appointment with us – that implies meeting us at hours that are woven to suit your schedule or having our attorneys visit you in your home or healthcare facility in case of a serious injury. We are aware of the distress that car-pedestrian injuries might cause and we offer a tireless and relentless advocacy for our clients. We will also keep you in the light about your case from the start to the finish. Use the details below to hire a skilled pedestrian lawyer Buena Park, CA.